The ship brought them to Misrata on 10 November after picking them up from a boat off Libya’s western coast. They are said to be from sub-Saharan Africa and South Asia. Fourteen people including unaccompanied children and a mother and baby left the ship on Wednesday for official detention centres in Libya but, according to Qatar-based broadcaster al-Jazeera, 77 migrants remained on board on Sunday. MSF aid workers have been treating burns and “witnessing the despair” among those still aboard the ship. The migrants were picked up by a Panamanian-flagged cargo ship, the Nivin, on 8 November. According to a UN statement quoted by AFP news agency, they are from Ethiopia, Eritrea, South Sudan, Pakistan, Bangladesh and Somalia. 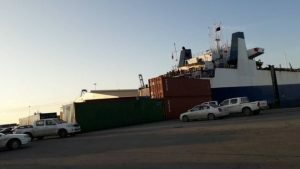 Biktor said his brother and friend had both died at the hands of smugglers in Bani Walid, a smuggling centre south of Tripoli. Other migrants told al-Jazeera they had thought they would be taken to Malta when they boarded the cargo ship. “All people are saying now we don’t want to go outside until we die here,” said Kai, 18, from South Sudan. The campaign group Amnesty International said on Friday the people rescued should not be “forced to disembark to be taken to a Libyan detention centre where they could face torture and other abuse”. “Under international law, no-one should be sent to a place where their life is at risk,” Amnesty added. 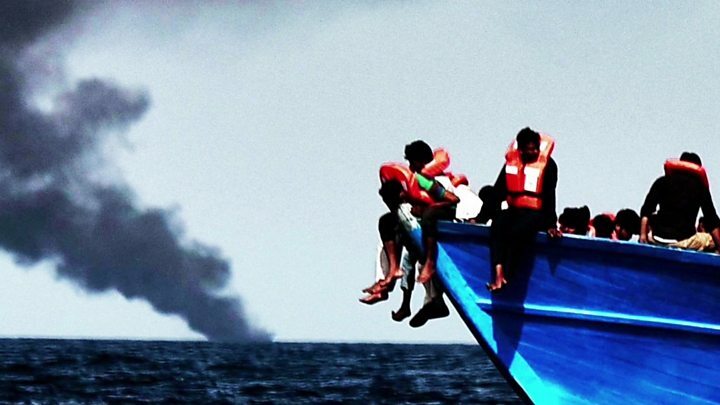 Libya is a major transit centre for smugglers attempting to take undocumented migrants to Europe. The post Rescued migrants refuse to leave ship taking them to Libya appeared first on Citi Newsroom.